There are times when we cant be out paddling and the only alternative is to immerse yourself in a good book. What are your favourite Canoeing related books? To start off, I've found that the writings of Sigurd F Olsen have been both inspiring and evocative - my favourite has to be 'The Singing Wilderness'. I would certainly agree that Sig's books are worth tracking down. He was one of the great canoeists/conservationists and his writing and campaigning helped persuade the US government to protect the Boundary Water area in Minnesota. I would also recommend the photo books of Joan & Gary McGuffin. Their books on Lake Superior and the Ontario forest canoe routes are beautifully photographed and also help to raise public awareness in environmental issues. A must have is "Stories from the Bow Seat" by Don Standsfield. Another photo book that makes me want to pack my bags, grab my paddle and head out for a month long trip. Have to mention James Raffan too. His insight into the place of the canoe in Canadian culture as well as his biography of Bill Mason help to set the canoe into its natural context. If you can find a copy of Boreal Rendevouz you will be in for a treat. Not sure if it's still in print so if you see it for sale better buy it. Could change your life! "All right" said Eeyore "We're going. Only don't blame me"
... but it details out his travels on the land and the water I know very well, and it's interesting to see the changes in the 70 odd years since the trips were undertaken. The picture above is taken off Preston looking towards Paignton Harbour and Roundham. Sigurd Olson must be one of the most perceptive authors of any kind. It's hard to explain but reading his books you get a feeling that you know him and he knows you, in that he understands exactly why we put up with hardship in order to camp, canoe and hike in wild country. Indeed, he regards the longing some men feel for wild country as a need, rather than a desire. He had a wide scientific knowledge of botany, zoology, geology, astronomy and ecology which comes across in his books - the particular thing about Sig is that all this knowledge has only enhanced his power of wonder rather than robbed him of it. There is an ill-defined spiritual aspect to his books that is discussed in David Backe's website - worth a look. Many of his books are back in print and available in paperback from Amazon. You can also buy them from the US, second hand hardback, on ebay. What about Song of the Paddle? Currently reading "Where Rivers Run" by Gary and Joanie McGuffin, an account of their two year, 6000 mile canoe expedition across Canada. A fairly factual account so far but interesting. Being caught five miles out in the St Lawrence seaway, in heavy weather and strong tides sounds pretty scary. Well, suitably inspired, I searched for Song of the Paddle on E-bay. One came up in a US bookshop listing - under the category 'poetry books'! Who knows - maybe they're right! Just started reading a new book by Robert Twigger, some of you may be familiar with an earlier book of his called Angry White Pyjamas which recounted his tales of learning karate with the Tokyo police force. His new book is called Voyageur and tells the tale of his attempts to retrace the steps of Alexander Mackenzie the first man to cross the rockies by canoe in 1793. The story starts off with Twigger and his companions making a traditional Birch Bark canoe and setting off on their journey. To put things in perspective they had to paddle around 200 Km to the start because there was no other way to get the canoe to the start of the journey. They then started their journey to the Pacific going up the Peace river against the flow. I'm about half way through already (only started it today). Its a gripping read and a good advert for ensuring you prepare for any expedition - if you read it you'll understand what I mean. If anyone needs more details about this book I posted about the review on this thread earlier it is under 'VOYAGEUR). Well its got a bit of paddling in it. An interesting read about a couple who decide to leave the rat race, and head to the Yukon, with adventures on the way. An accident waiting to happen. I know he's not the greatest canoeist but Don Starkell's Paddle To The Amazon is a brilliant read. If you need an incentive to go on an adventure this is the book for you. Starkell is unprepared as ever to undertake this 12 000 mile canoe trip from Lake Winnipeg in Canada to Belem in Brazil. He and his sons suffer the worst ordeals imaginable. The follow up, Paddle To The Arctic, is also worth a read if only for advice on what not to do! Here we find the egoist Starkell embarking on a trip from Hudson Bay to the western Arctic coast near Alaska. Torturous! A really good book is Missinaibi - Journey To The Northern Sky. It's well laid out and includes detailed maps, pictures, photos, diagrams of rapids and everything else you need to know about paddling this beautiful river. I suppose there's no point if you don't ever plan to take this trip but I do some day! Scott found a wee gem among his collection of first editions yesterday. “Quest by Canoe - Glasgow to Skye” by Alastair Dunnett. I'm only a few chapters into it but it's panning out well. Was funny to read that they pitched for the night at Fionn Phort, the very bay I was talking about in the camp fire thread. The description of both the bay and the paddle to Tarbert shows that little changes on the west coast in fifty years, from clearing bracken for a camp to the forests of seaweed you pass over on route it's described perfectly. "Too Late in the Year"
"The Canoe Boys - from the Clyde past The Cuillins"
This elation bore us northwards towards the port of Tarbert. The few miles we had to travel took us the along the foot of the steep-to rocks, amid a lazily dying swell. There was even a little heat in the sun. The smells of sea and the land were in our noses at the same time, and three or four fathoms below, as we stopped often to tilt and peer at them, bushes of seaweeds waved in the currents, with fish among their stems. That's the few miles that are the sole reason we bought canoes. Quite novel to come across them this way . Borrowed this book from our Friend Allan. Great read definately to be recomended reading and shows Scottish hospitality at its best. If I remember rightly some of the story was printed in the newspaper at the time. 'Blazing Paddles' is another great book but it is about sea kayaking around Scotland. Got to admire the guy though. The book is by Brian Wilson. Last edited by Mutineering Maggie; 14th-March-2006 at 09:31 AM. I have that one and recently got his other book "Dances with Waves" off Ebay. I had been searching for it for Years. Its much the same sort of thing but round Ireland. ....and some unexpected but very interesting social observations that closely match what I've heard from friends who've grown up there. Couldn't put it down last night, was up 'till all hours finishing it. Riding the tide up the sounds from Crinnan to Oban sounds like a must-try. There is an ill defined spiritual aspect to some of his books that is discussed in David Backe's website - worth a look. My family, my great aunt especially, knew Sig Olson, quite well. She and my grandfather grew up in the BWCA. She would get quite annoyed with his endless questions. She had a tendency to remember him as the green tenderfoot he'd been when he first came to the BWCA. I've read some of his books, and the "ill defined spiritual aspect" is very evident, and to me, enjoyable. Aunt Vivian sometimes described him as a "nutcase." I refer to this repeatedly through the winter, when the lakes are frozen solid...... great pictures, great stories, this book rekindled my desire to be out on the water. The series of guide books by Kevin Callan on routes through Ontario and Quebec. He's a funny guy, but very knowledgable about the routes and their vaguaries. looks good. Managed to order a copy through www.abebooks.co.uk for £13.50 including postage so I will let you know how I get on with it. I highly recommend this book, its great. if any of you within britain fancy borrowing my copy ( ive read it), and I mean BORROW ! lol then pm me and i can send you it. first come, first served. Paddle To The Arctic, is also worth a read if only for advice on what not to do! Here we find the egoist Starkell embarking on a trip from Hudson Bay to the western Arctic coast near Alaska. Torturous! Victoria Jasons version - Kabloona in the Yellow Kayak is also well worth reading for the totally different perspective - I read her book first and my blood pressure rose to boiling point! Don was a MCP of the first order. His books have done very little to change my mind! 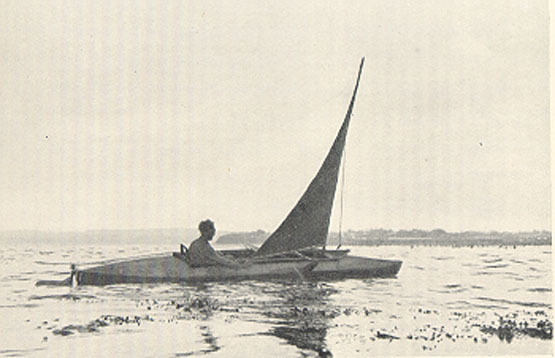 Currently reading Chris Duff On Celtic Tides - story of his circumnavigation of Ireland in a sea kayak. An excellent read so far. 'Dangerous River' by R.M. Patterson. About his journies up the Nahanni in the early 19th Century. I managed to get hold of one the first copies and have read it over and over again! I would rather have an amusing story to tell than a unfulfilled dream. One of my favourite books is "From a wooden canoe" by Jerry Dennis - it is just full of great little anecdotes on the important things in life. The Woman Who Mapped Labrador.... Buchanan, Hart and Green In the early 1900's, a yankee went to the wilds of Labrador on a very demanding canoe trip, refused to listen to his native guides and ended up dead. In the states he was a heroic martyr. His wife returned a few years later, and by listening to her Native guides, re-inacted the trip, completed it and survived, returning to the states as a hero, while the guys who paddled and ported her powdered bum through the bush are historical footnotes. Interesting read. Samuel Hearne's account of his overland passage from Hudson Bay to Coppermine in the mid 1700's.....it's in diary form and is absolutely riveting for his description of pre-contact First nations in Canada. For anyone out there working with youth groups, James Raffan's Deep Waters is a must read. Tells the story of inexperience and bad judgement that led to the death of over a dozen kids and instructors on a canoe trip in Northern Ontario. Took me a while to stop saying Thee and Thy. Discovered this book towards the end of a recent solo motorbike trip accross Canada. I've also become increasingly enchanted by the Nahanni in no small part to this book. To the extent that I want to learn canoeing specifically to canoe the Nahanni. Wonderful and beautifully written book. Holy-thread revival, Batman, is 10 years to the month a forum record? [QUOTE=wheelie1000;622878]Discovered this book towards the end of a recent solo motorbike trip accross Canada. I've also become increasingly enchanted by the Nahanni in no small part to this book. To the extent that I want to learn canoeing specifically to canoe the Nahanni. If you read my account of my Nahanni trip (on this blog site) you will see that you don't need to be highly skilled, just capable. Pretty sure this book is also called "Great Heart"
Norfolk Broads Canoe & Kayak Guide by Steve Maloney -available online in paperback. Gives clear guidance to many canoe friendly launching sites in Norfolk & Suffolk, including car parking situation & travel guidance to some out of the way locations. Highly recommended if you are new to the sport/area. Thank you, sounds just what I need......I'll go chase a copy! Just started reading a new book by Robert Twigger...His new book is called Voyageur and tells the tale of his attempts to retrace the steps of Alexander Mackenzie the first man to cross the rockies by canoe in 1793. 10 years after this post and I've just picked up a copy of Voyageur and I concur - and I'm only on p15!!! When I read about the evils of drinking I gave up reading. Have now got it it and a very comprehensive guide it is, thank you. It'll come in very useful next summer, I hope. Am now going to find a copy of "Voyageur", too ! I have just bought 5 books on canoeing from ABE Books, all second hand and v reasonably priced... Apart from letting others know if they're any good I wood recommend ABE if a non-digital book is desired! The Art of the Canoe with Joe Seliga. In my neck of the woods this guy is the authority. To get close you need to travel to Ely, MN. Unfortunately, Joe has passed. http://www.amazon.com/Art-Canoe-Joe-Seli... If you are on the east coast, check in with Mystic Seaport. Surprised no-one has mentioned one of the originals "A thousand miles in a Rob Roy Canoe". Quite an entertaining read especially for how the gentleman canoeists of the day did things. Free download on Kindle or the book can be bought complete with illustrations. And I did, and it's superb, thank you. I finished Voyageur by Robert Twigger and it was a great read. No help for technique but loads to learn about great writing, relationships, grit & determination! As a second thread resurrection - but a mere 3 years this time - Voyageur by Robert Twigger is available on Amazon as a Kindle ebook. .... Voyageur by Robert Twigger is available on Amazon as a Kindle ebook. Or as a 'proper' book, on eBay for £2.89, for those like me who refuse to have anything to do with Amazon.